Noise-induced hearing loss (NIHL) is one of the most common injuries arising from work – and the problem is rapidly increasing. The effects of excessive exposure to noise are gradual. They may not be noticed for many years, until the damage has been done and the symptoms become a problem for the sufferer – and those around them. That’s why it is important to proactively reduce excessive exposure to noise to prevent the onset of NIHL. Ringing in your ears after you finish work. Most workplaces where noise is an issue rely on hearing protection devices (HPDs) such as earplugs and earmuffs as a first option. However, they should usually be considered as the last option, or at best as one part of an overall approach to noise control. 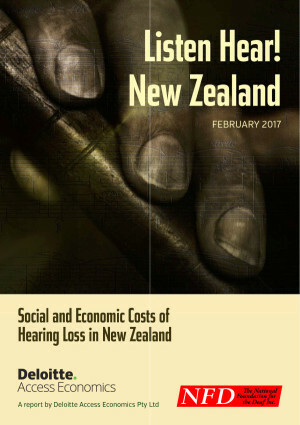 The rising incidence of NIHL indicates that current approaches to noise control, which centre mainly on the use of HPDs, may not working and this reflects international opinion.New Zealand workers continue to suffer hearing loss as a result of their work, in spite of wearing HPDs. There may be numerous reasons for this including the incorrect wearing of HPDs. From a wider perspective, the cost of ACC claims resulting from NIHL is increasing rapidly. Controlling noise in New Zealand workplaces, therefore, may also help to reduce employer ACC levies over the longer term.